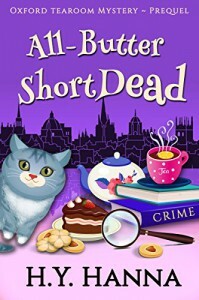 Hsin-Yi Hanna wrote a darling prequel to her Oxford Tearoom Mystery series. She did a wonderful job introducing all of the characters that make her stories one of the best cozy series I have ever read. I always wondered how the characters all got together and the tearoom came about and now I know. Of course the story would not be complete without a mystery for Gemma to solve which kept me guessing until the very end. All of the stories in this series are a joy to read. Great character development, a well written mystery, and laugh-out-loud humor. What more could you ask for. Cozy mystery lovers who are not reading this series are missing out on a real gem.